Each year the CWBA Foundation honors women lawyers who have made a difference in our communities and have "raised the bar" for all of us. This year's theme, "Women Lawyers Who Raise the Bar through Promoting and Elevating Women and Girls," will honor women attorneys who raise the bar through work focusing on the interests of women and girls across the legal, political, and social spectrum. STEPHANIE DONNER, Co-Founder of the Galvanize Foundation and Board Member, Girls, Inc. The evening is always a memorable one with about 400 attendees gathering to celebrate the accomplishments of our honorees and to thank them for paving the way for other women in Colorado and around the nation. Sponsorships now available. Registration is open. 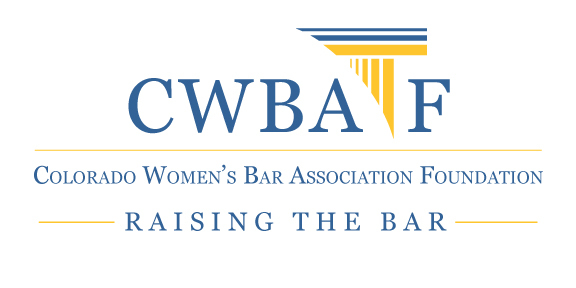 The CWBA Foundation was founded in 1988 to implement the charitable and educational work of the CWBA, to promote the advancement of women in the law, and to protect and promote the welfare of all women.